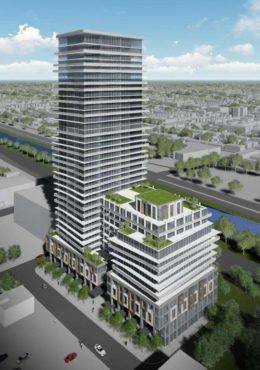 River & Fifth Condos is a new condo development by Broccolini currently in preconstruction at Defries Street in Toronto. The 37 storey condominium building with 552 units is located in Corktown district with spectacular views of Don River and parks. Register now for Platinum Insider Access and be part of Toronto’s next great neighborhood. 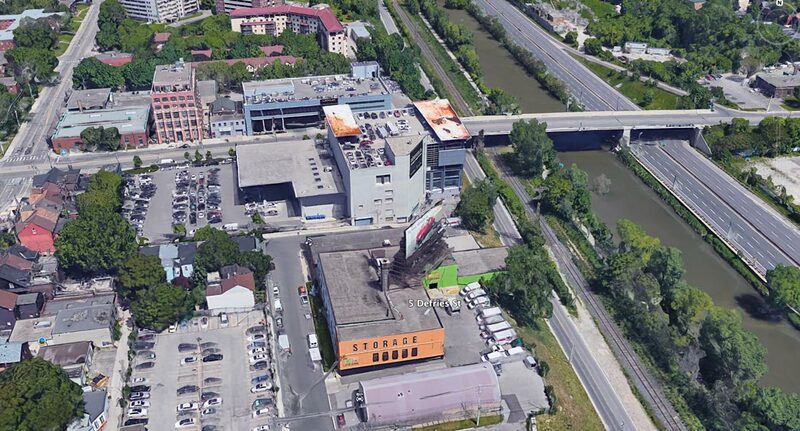 Centrally located between Queen Street East and Dundas Street East. Close Proximity to Ryerson University (12 Minutes), St Michael’s Hospital, the DVP, TTC, Yonge Subway Line, the Distillery District, The Eaton Centre as well as Yonge & Dundas Square. Minutes from Transit. A number of streetcar stops located along Gerrard St E, Dundas St E and Queen St East. River & Fifth Condo is perfectly situated within moments of every urban convenience, including the Aquatic Centre, new athletic grounds, groceries, parks, the TTC and so much more. With a walk score of 94, Transit Score of 100 and Bike Score of 100 River & Fifth is a Walkers, bikers and transit Paradise! River & Fifth condo will feature a modern lobby and over 6000 square feet of amenity space featuring a fitness center, yoga studio, multi-purpose lounge, lobby, private dining room, rooftop BBQ/lounge area, underground parking and more. Register for first access to floor plans, price list, early purchaser incentives and buy in the VIP release.